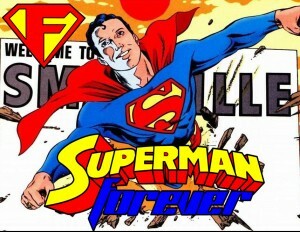 Welcome to Superman Forever Radio episode 23, the twice weekly Superman podcast. This week, we take a look at Superboy, from the adventures of Superman when he was a boy, to Conner Kent, and his time as a television star. The young hero that was, then wasn’t, then was again. And the menace of Superboy Prime. Before that, though, we hear from Man of Steel castmates Michael Shannon, and Diane Lane on their auditions for the movie, as well as the latest rumors swarming around the internet. Then, it’s a look at a very draining episode of Superman: The Animated Series, as The Parasite makes his debut, and underwhelms.